Tiny text that you can hardly read. Or text that is so large you get a head ache from reading it? Wouldn't it be nice to change the size of this text so you can easily read it? You can adjust the size of the text on most Web sites by changing your settings in Internet Explorer. Click on your View menu at the top of your Internet Explorer browser. Try each option until you find text size that you are comfortable with. *The instructions are basically the same for other browser users. If you have a scroll wheel mouse you can do this without using the menus! Just hold down your CTRL (control) key while you use your scroll wheel. Scroll up to make the text smaller and scroll down to make the text size larger. Some types of mice allow you to click down on the scroll where and then scroll up for larger text then scroll down to smaller text. When you adjust it to the text size you can easily read, then click the scroll wheel again. ) 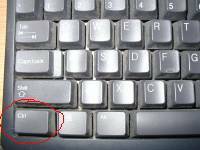 When you are on a web page you can also hold down the CTRL key and hit the + or - key on your keyboard. In many programs you can also change the text size of what is on the screen. For instance in Open Office (an open source office suite similar to Microsoft Office that is free), you can change the text size of what you are viewing without changing the text size of the actual document. 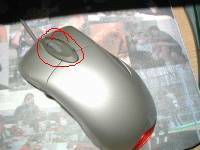 You can do this by using the CTRL key and the scroll key on your mouse. *Sometimes changing the text size won't work if the Web page was created in a special way but it will work on most Web sites.